Editor's Note: The following story is reprinted with permission of Newspring Church in Anderson. For more information on the church, or if you are a veteran looking for someone who understands your experience, visit Newspring.cc or email here. 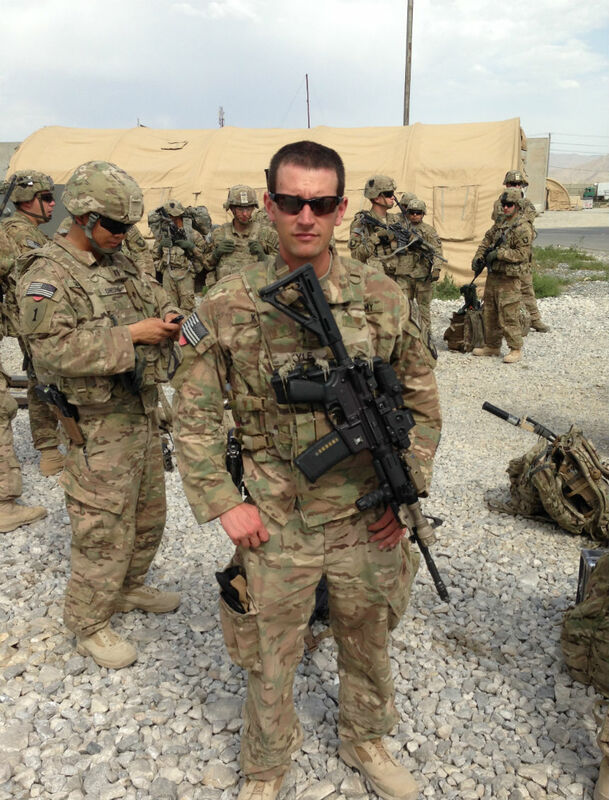 Jonathan Kyle, the son of and Anderson doctor, lost two military brothers in combat. Honoring them is a daily commitment to live victoriously in Jesus. Bursts of small arms fire and occasional rockets whizzed continually over the eastern Afghanistan U.S. Army forward operating base where Jonathan Kyle was deployed. In the brutal winter months of early 2014, they were nothing more than a once-a-week “fireworks show” for the fellow members of the 502nd Infantry Regiment of the 101st Airborne Division. That was until the start of fighting season in May, when the frozen passes of the Afghan mountains had cleared and terrorist insurgents from across the battle-scarred region assembled to resume their attacks on Coalition forces. 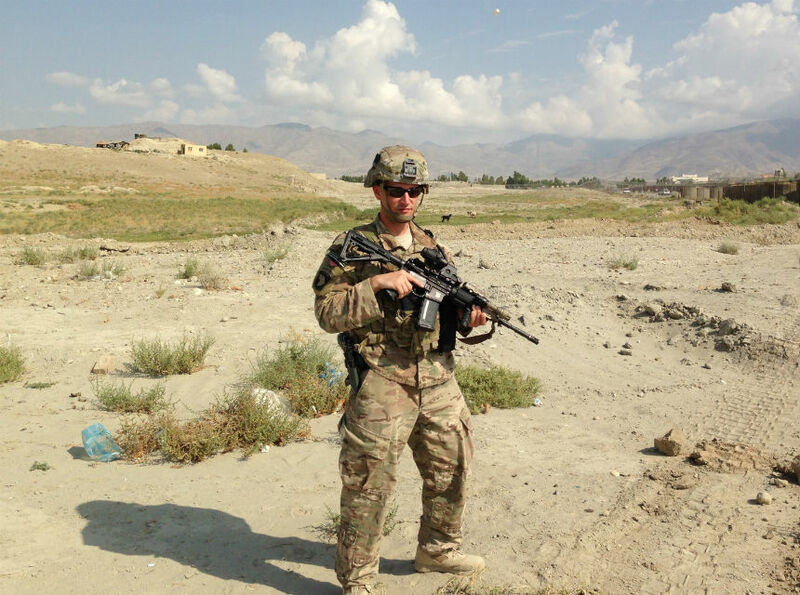 Jonathan Kyle on patrol in the Eastern Afghanistan's Laghman province. There were four complex attacks by lunchtime on the first day of the fighting season on the town of Azizkhan, where Jonathan’s unit was patrolling. The experience went “from a bad summer camp to, ‘This is war!’” says Jonathan, who served as an officer in the 2nd Brigade Combat Team. Rockets fired from the mountains often missed the troops, many times killing innocent people nearby. In one of the attacks the first day, Jonathan felt the debris from enemy rockets and mortars hit him in the back and legs. Never before had he felt so mortal. Just because you lived, doesn’t mean you're always going to. The 502nd Infantry Regiment lost one of its brothers one month later. Army Spc. Matthew Walker, 20, was on a routine truck patrol. When the unit dismounted, a rocket-propelled grenade hit his vehicle, and a shard of metal from the explosion ripped through his femoral artery, Jonathan says. He died before the medevac chopper could reach him. “There was just so many emotions at the time,” says Jonathan, whose breathing becomes shallow and halting as he recalls the event and glances down to the metal Killed In Action bracelet he wears in his brother’s honor. Jared Day, left, served as a special forces operator with U.S. Navy Seal Team Six. U.S. Army Spc. Matthew Walker, right, served in the 101st Airborne Division, 502nd Infantry Regiment. 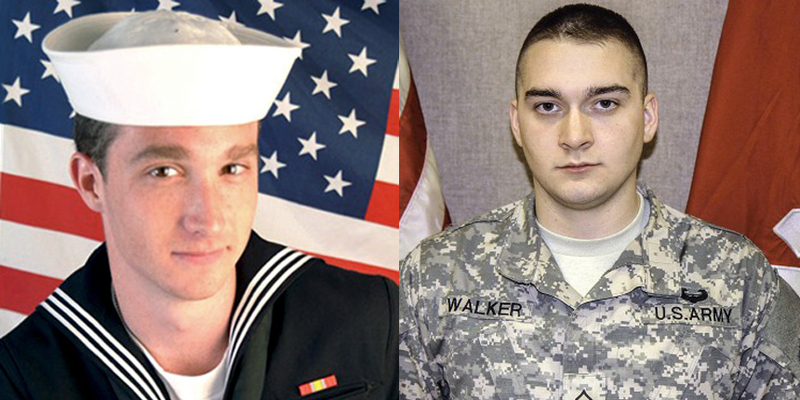 Specialist Walker is one of two servicemen who died in combat Jonathan remembers personally every Memorial Day. The other brother he lost was his mentor, Jared Day, a member of the U.S. Navy’s Seal Team Six and one of 38 warriors killed in Aug. 6, 2011 crash of Extortion 17. He met Day at U.S. Army Airborne School, where the two got injured on the same jump and spent a lot of time sitting around, laughing and talking together. “You literally remember facial expressions and things about their personality,” Jonathan says. Memorial Day is a traumatic time for veterans. A day of joy, laughter and summer cookouts for many others is for them enveloped in grief, emotional flashbacks, and the funereal silence of contemplating the cost of love and ultimate sacrifice. But honoring the dead isn’t an annual commemoration. It’s a daily commitment, Jonathan says. That “best shot” is possible because of Jesus, Jonathan says, and helping others find joy, peace, and purpose in Christ is now his mission. “If vets are not living that life, I want them to get to the place they are. That's how you honor the fallen,” he says. Jonathan pictured after completing a mission with special forces operators. Jonathan’s family has a proud history of military service, including his brother, many cousins, and uncles, and both grandfathers. Jonathan’s six-year military career grew out of a burden to reach servicemen with the love of Jesus, a calling he first felt as a high school senior. That was when Jonathan fully surrendered his life to Jesus after asking Him into his life at the age of 10. Jonathan knows the hope of eternal life and the power of the Holy Spirit are the only true escape from the bitterness, anger, despair, and suicide that plagues so many veterans. Zac Strass, a captain in Jonathan’s unit at Fort Jackson, took his own life just days after completing the classes to leave service. The so-called “American Sniper,” Chris Kyle, Jonathan’s dad’s cousin, was murdered trying to help a disturbed veteran. 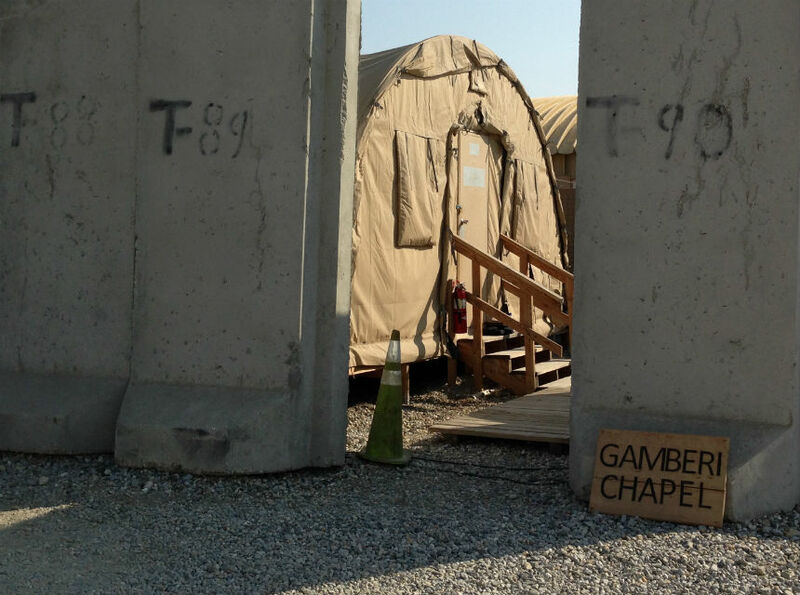 During Jonathan’s 10 months deployed in Eastern Afghanistan, he ran weekly worship services inside a tent at his combat outpost. “When I got there in January, the Lord pressed on my heart, ‘You've got to do this,’” Jonathan says. Jonathan took with him a hard drive filled with a year’s worth of NewSpring messages. His experience as a volunteer on the NewSpring Production Team in Anderson had equipped him to edit video and use audio-visual equipment to make a seamless “live” experience, consisting of two songs and the message. The teaching was from the same week of the year, just one year older. “God is not bound by time,” Jonathan says. Attendance ranged from a low of zero — during a seven-week span when his military and spiritual mission seemed most doomed — to a high of eight people at an early-August salvation service. To invite people to come, Jonathan used protein bars sent over in care packages by friends at the Anderson campus. He knows of several people who asked Jesus to be their Lord and Savior during his deployment. 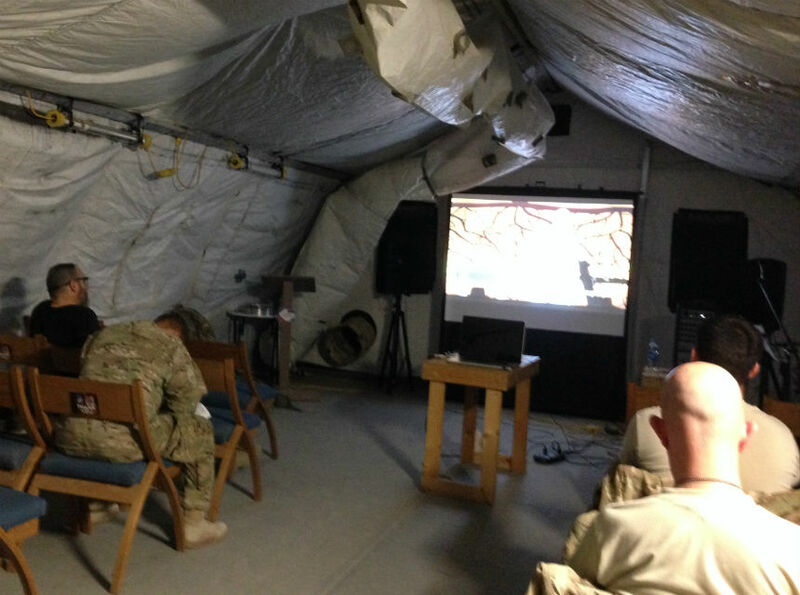 Jonathan ran weekly worship services using NewSpring messages at the chapel set up at Forward Operating Base Gamberi. Jonathan also saw the hand of God countless times. There was the initial OK and the help he received from his unit’s chaplain, in contrast to his predecessor, who was opposed to evangelism. And then there was the unlikely intervention from a non-commissioned officer who saved the “chapel” when the base was collapsed. Jonathan’s favorite miracle was the time the 220-volt converter powering the Mac book, projector and speakers blew, with a visible puff of smoke. With no replacement on hand, he put his hand on it and prayed — and it worked for church that day. A lot of veterans live defeated lifestyles. Now Jonathan, an owner at NewSpring Anderson, is co-leading a military group with veteran Ryan Hulon, seeking to provide love and emotional support for veterans and their families. Typically, the group discusses a video Bible study and often ends the evening at a restaurant. The importance of community was underlined for Jonathan when he returned to Fort Jackson in Columbia, South Carolina, and met a NewSpring attender struggling with post-traumatic stress disorder and suicidal thoughts. “He was broken,” Jonathan says. Jonathan led him to Jesus at Starbucks, but he wasn’t able to connect him to lasting community, and they lost track of one another, something which still troubles Jonathan to this day. “A lot of veterans live defeated lifestyles. It’s because they deal with heavy demons and burdens that drag them down. You should never have to carry those burdens alone,” Jonathan says. WATCH: Ryan Hulon's story, Blood And Sacrifice: The Battle Of A Soldier’s Soul. Jonathan invited people to chapel services using protein bars that were part of care packages, one of which is pictured above. Ultimately, Jonathan’s desire is to see military groups form at every NewSpring campus in a state that has one of the largest populations of active and retired military men and women. But Jonathan knows that ministering to veterans is fraught, especially when it’s easier not to engage with emotional wounds or push people away. People have walked out of his group several times. Although Jonathan’s faith gives him an inward strength others may not have, he says a therapist still has been essential to working through his own post-traumatic stress disorder and anxiety symptoms. Are you in active military service or a veteran looking to make a connection with others in your area? 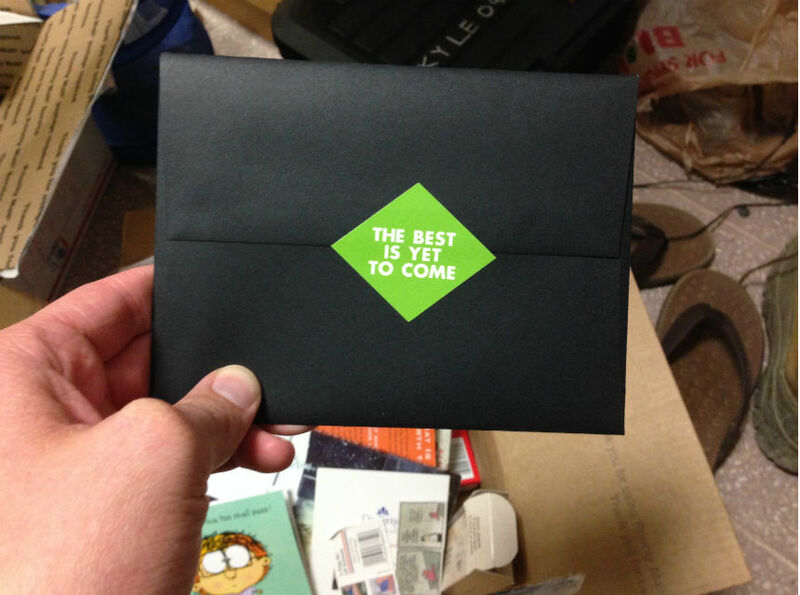 Send an email to care@newspring.cc, and we’ll do our best to help.